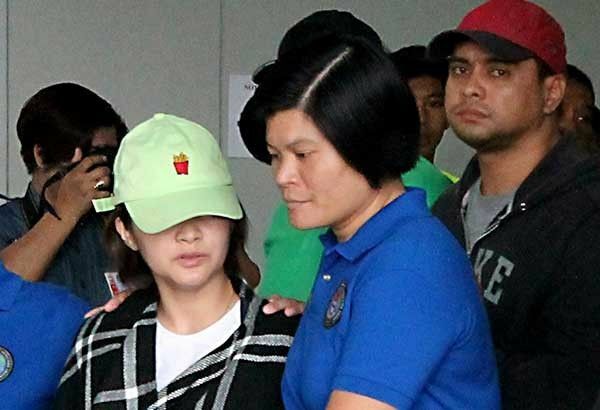 In this file photo from 2017, Nova Princess Parojinog-Echavez and her brother Reynaldo Parojinog Jr. arrive at the NAIA-3 with police escorts on their way to Camp Crame. MANILA, Philippines — The Supreme Court has revived the graft case against Ozamiz City Vice Mayor Nova Princess Parojinog-Echavez over the alleged anomalous awarding of a contract for the renovation of a gymnasium in 2008. The tribunal’s Third Division reversed two of the resolutions of the Sandiganbayan that junked the graft case by way of granting Echavez’s motion to quash information. The ruling, penned by Associate Justice Diosdado Peralta, is dated February 11 but was made public only on Monday. Parojinog-Echavez is the daughter of the late Mayor Reynaldo Sr. who was killed in a bloody police raid at their residence. The case stemmed from a Commission on Audit report that disclosed that Echavez is the managing partner of Parojinog and Sons Construction Company which bagged the renovation project of Ramirez Gymnasium in Ozamiz City. The contract was supposedly awarded to Parojinog & Sons Construction Company in which Nova Princess, who at that time was still a private individual, was serving as a managing partner. Under Section 3 (h) of Republic Act 3019 or the Anti-Graft and Corrupt Practices Act, a public official is prohibited from having direct or indirect financial or pecuniary interest in any business, contract, or transaction that his or her office is entering into. On April 7, 2017, the Sandiganbayan granted Echavez’s motion, saying that the case violated the constitutional right of the accused to a speedy disposition of cases. The anti-graft court affirmed its ruling on June 2017, prompting ombudsman prosecutors to elevate the case to the SC. According to jurisprudence, the delay is a violation of the respondents’ rights to due process of law and to a speedy disposition of the case against them. “We find the period of less than two years not to be unreasonable or arbitrary,” the court also said. The tribunal also pointed out that Echavez did not assail the violation of their right to a speedy resolution up until the Ombudsman prosecutors found probable cause to indict them. “The Court ruled that since there was no violation of respondents’ right to a speedy disposition of cases, the case should not be dismissed,” the SC held. The tribunal noted that respondent Parojinog has already died on July 30, 2017, as shown in his death certificate. This leaves Echavez as the only respondent in the case. Associate Justices Marvic Leonen, Andres Reyes Jr., Ramon Paul Hernando and Rosmari Carandang concurred with Peralta in the ruling.